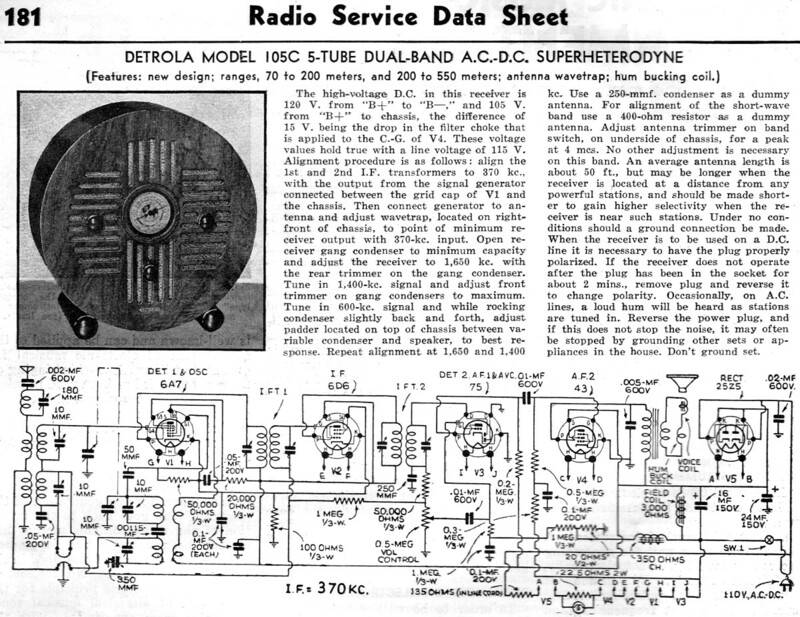 I have been scanning and posting Radio Service Data Sheets like this one featuring the Detrola Model 105C 5-Tube Dual-Band A.C.-D.C. Superheterodyne radio receiver for many years now. There are still many people who restore and service these vintage radios, and often it can be difficult or impossible to find schematics and/or tuning information. 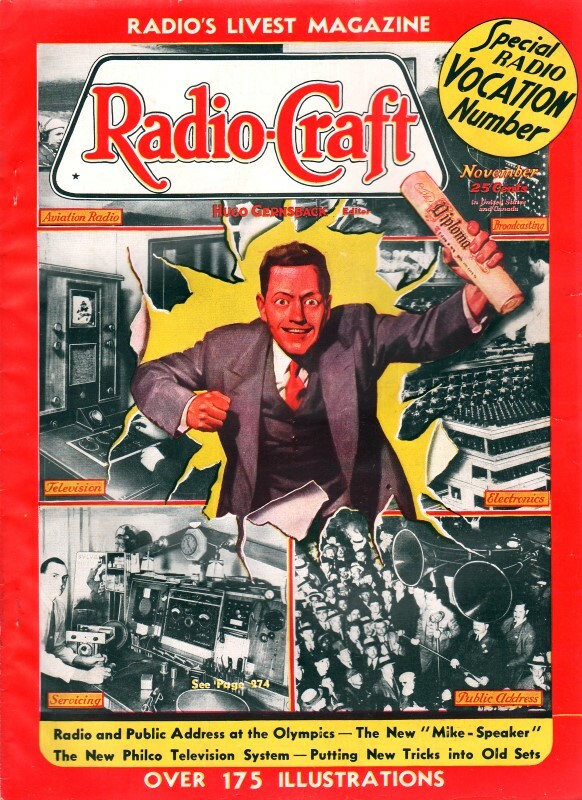 The thumbnail image of the Detrola Model 105C radio is from the RadioMuseum.org website. The high-voltage D.C. in this receiver is 120 V. from "B+" to "B-," and 105 V. from "B+" to chassis, the difference of 15 V. being the drop in the filter choke that is applied to the C.G. of V 4. These voltage values hold true with a line voltage of 115 V. Alignment procedure is as follows: Align the 1st and 2nd L.F. transformers to 370 kc., with the output from the signal generator connected between the grid cap of V1 and the chassis. Then connect generator to antenna and adjust wave trap, located on right-front of chassis, to point of minimum re­ceiver output with 370·kc. input. Open receiver gang condenser to minimum capacity and adjust the receiver to 1,650 kc, with the rear trimmer on the gang condenser. Tune in 1,400-kc. signal and adjust front trimmer on gang condensers to maximum. Tune in 600-kc. signal and while rocking condenser slightly back and forth, adjust padder located on top of chassis between variable condenser and speaker, to best response. Repeat alignment at 1,650 and 1,400 kc.